It’s well arrangement tour with nice tour guide- Lavender. good English tour guide. 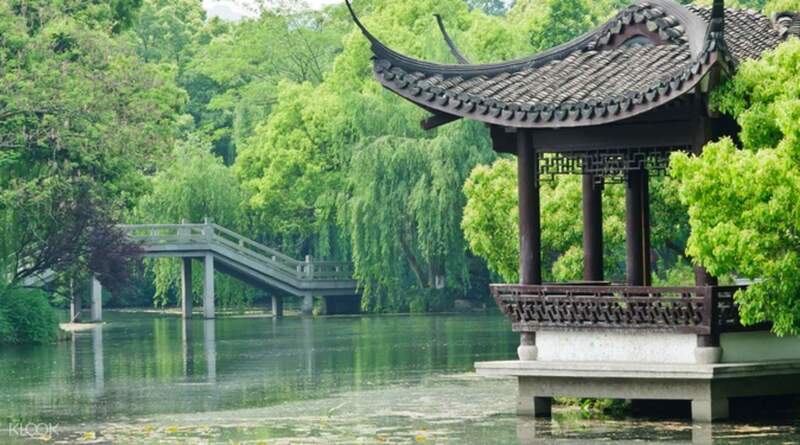 Enjoy the perfect one day tour of beautiful Hangzhou with an experienced local, English speaking guide to explore the best and most iconic sights of one of China's most peaceful cities. First up, visit Ling Yin Temple, one of the most important Buddhist temples in China, and see intricate Buddhist carvings. 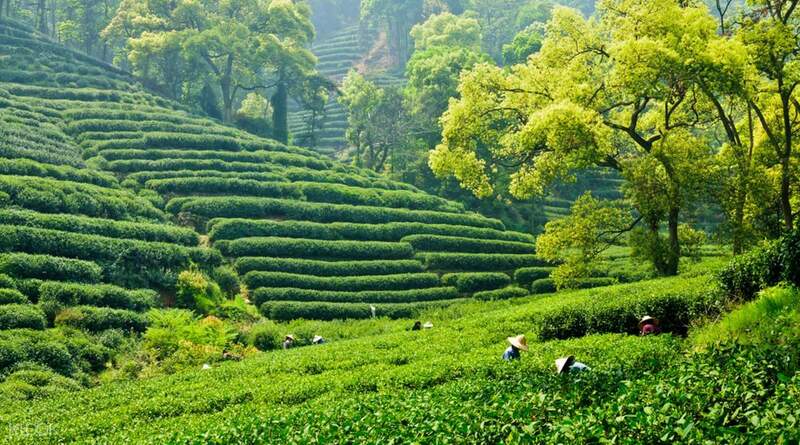 Next up, head to Dragon Well Tea Plantation where you'll sip tea in a pretty shaded pavilion with spectacular views. 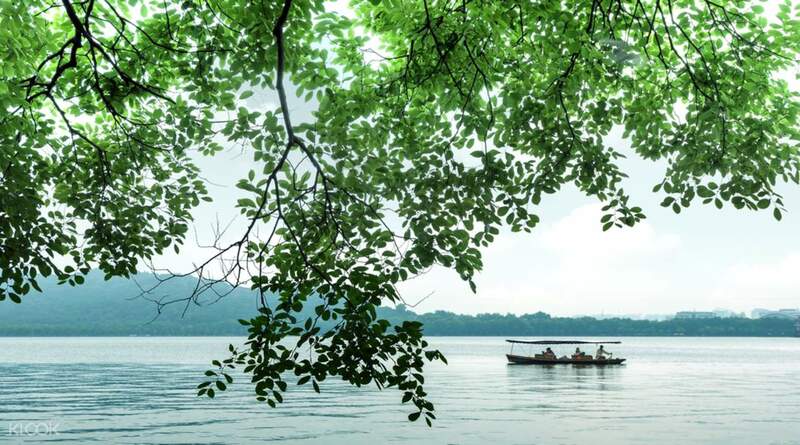 Finally, take a scenic cruise on West Lake, a UNESCO World Heritage site, stopping at Red Carp Pond. 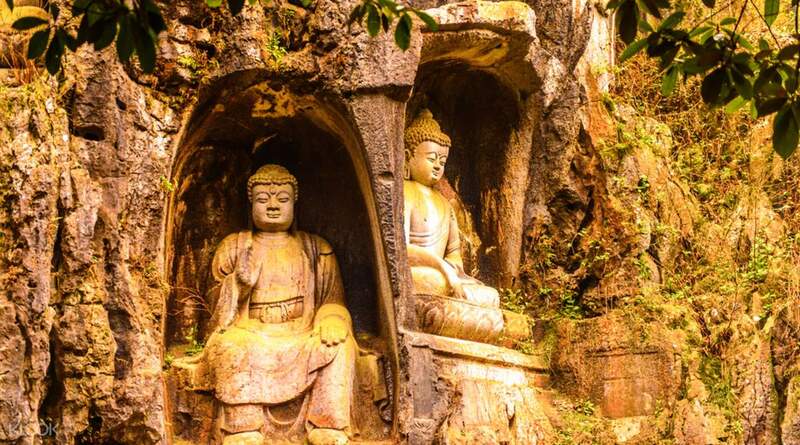 The package includes hotel transfers for ease of travel – the perfect introductory tour to Hangzhou! Klook's support was prompt in answering and helping some of my queries regarding hotel transfers which helped me decide which hotel to book in Hangzhou. However the main highlight of my entire trip was the service provided by their guide - Ah Zhong. Ah Zhong went extraordinarily out of the way to help us fulfil our desire to watch Impressions West Lake musical, which would not have been possible without as we had to catch the last HSR train back to Shanghai. The tour may have ended at 5pm but he met up with us at 7pm to bring via a taxi to west lake. THe show starts at 745pm and he hung around till 830pm to help us hail a cab and timed it perfectly to be able to pick us up at the performance exit area at 845pm, sent us back to the hotel to pick up our luggages and he coordinated the taxi to send us to the train station. This smooth execution wouldnt have been possible for a tourist to do on our own as the exit area is chaotic and hard to get a cab (especially raining) .. He staye back on his own time, and did not expect much more than the cost of the public transfers. We had to insist a tip for him in gratefulness! Klook's support was prompt in answering and helping some of my queries regarding hotel transfers which helped me decide which hotel to book in Hangzhou. However the main highlight of my entire trip was the service provided by their guide - Ah Zhong. Ah Zhong went extraordinarily out of the way to help us fulfil our desire to watch Impressions West Lake musical, which would not have been possible without as we had to catch the last HSR train back to Shanghai. The tour may have ended at 5pm but he met up with us at 7pm to bring via a taxi to west lake. THe show starts at 745pm and he hung around till 830pm to help us hail a cab and timed it perfectly to be able to pick us up at the performance exit area at 845pm, sent us back to the hotel to pick up our luggages and he coordinated the taxi to send us to the train station. This smooth execution wouldnt have been possible for a tourist to do on our own as the exit area is chaotic and hard to get a cab (especially raining) .. He staye back on his own time, and did not expect much more than the cost of the public transfers. We had to insist a tip for him in gratefulness! It was my first time join in a tour group & I found out that this tour guide was a young lady. She was so friendly & explained lots of chinese history during our trip in Hangzhou. She also can play with my kids as she like kids as well. It was a wonderful trip in Hangzhou as we saw lots of snow & my kids love playing with the snow. It was my first time join in a tour group & I found out that this tour guide was a young lady. She was so friendly & explained lots of chinese history during our trip in Hangzhou. She also can play with my kids as she like kids as well. It was a wonderful trip in Hangzhou as we saw lots of snow & my kids love playing with the snow. It’s well arrangement tour with nice tour guide- Lavender. good English tour guide. It’s well arrangement tour with nice tour guide- Lavender. good English tour guide. It was a pleasant day trip in Hangzhou. Tour guide, namely Tina is very helpful and very professional. She help us a lot before the trip and after the trip. She show us how to come to pick up point and send us to train station, help us to buy ticket after the trip. Thanks Tina. It was a pleasant day trip in Hangzhou. Tour guide, namely Tina is very helpful and very professional. She help us a lot before the trip and after the trip. She show us how to come to pick up point and send us to train station, help us to buy ticket after the trip. Thanks Tina. Great temple tour but the ferry ride was underwhelming and didnt have a good view of west lake. Great temple tour but the ferry ride was underwhelming and didnt have a good view of west lake. very nicely arranged. Thanks Klook team , the tour guide for all the help. very nicely arranged. Thanks Klook team , the tour guide for all the help. We found this tour to be just right for an enjoyable day around this beautiful place. The Guide and driver did the job just right, no pressure, lots of interesting history. There are two different start times mentioned in the write up, I think they try for 830 pickup but in our case was 730. We don’t like getting up earlier, but it pays off with cooler weather and less traffic when picking up the other tourists. We found this tour to be just right for an enjoyable day around this beautiful place. The Guide and driver did the job just right, no pressure, lots of interesting history. There are two different start times mentioned in the write up, I think they try for 830 pickup but in our case was 730. We don’t like getting up earlier, but it pays off with cooler weather and less traffic when picking up the other tourists. The guide, Gerry, was very nice and friendly. The tour was spectacular and it was really worth it ... At the end, he even helped us to exchange our train tickets because we had to head back to Shanghai. If it wasn't him, we wouldn't have catched the train and made our trip so much smoother .. highly recommend this tour if it's your first time in Hangzhou ! The guide, Gerry, was very nice and friendly. The tour was spectacular and it was really worth it ... At the end, he even helped us to exchange our train tickets because we had to head back to Shanghai. If it wasn't him, we wouldn't have catched the train and made our trip so much smoother .. highly recommend this tour if it's your first time in Hangzhou ! I absolutely enjoyed this tour. My stay in Hangzhou was brief and I was looking for a way to fully see the sights and sounds in one day. Fiona and Derek were great. Derek contacted me the day before to confirm pickup (I stayed at an airbnb, so they work with you! ), and Fiona's English was on point! Everything was included (gate/boat fees, lunch, etc), and the explanation of all the major sights was understandable and totally worthwhile. I would definitely recommend this trip for anyone travelling to Hangzhou! I absolutely enjoyed this tour. My stay in Hangzhou was brief and I was looking for a way to fully see the sights and sounds in one day. Fiona and Derek were great. Derek contacted me the day before to confirm pickup (I stayed at an airbnb, so they work with you! ), and Fiona's English was on point! Everything was included (gate/boat fees, lunch, etc), and the explanation of all the major sights was understandable and totally worthwhile. I would definitely recommend this trip for anyone travelling to Hangzhou! The tour was very interesting. We had a very nice guide, whose English was perfect. The tour was very interesting. We had a very nice guide, whose English was perfect.